The purpose of my work in training the Awakened Mind is to help people master both the state and the content of consciousness. I define Mastery as being in the state you want to be in, when you want to be there, knowing what to do with that state, and being able to accomplish it. Personal mastery often leads to peace of mind, greater meaning in life and an authentic sense of self. 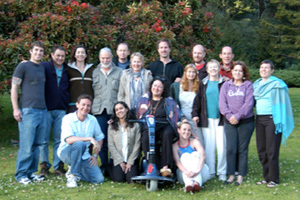 Anna’s spirit and work live on through the Institute for the Awakened Mind, an international consortium of EEG Awakened Mind Consciousness Trainers certified by her between 2001 and 2010. Visit the website’s Practitioner Directory for a private or group session, explore our revolutionary new Mind Mirror, or pursue a career with us in the footsteps of this master teacher. Visionary, Bodhisattva, Master, dancer, composer, writer, mother, and friend to thousands of former students and teachers around the world – Anna Wise was one of the most influential practitioners of instrument-assisted meditation in the world. Anna Wise passed on to her next life in March 2010. Anna’s lineage was highly eclectic but the path she followed was a hybrid east-west approach that married the timelessness of contemplation with the precision of technology. The result was what became known as the Awakened Mind Program. After forty years of research and teaching experience she had refined it to an art and a science. Her unique combination of brainwave real-time biofeedback combined with guided meditation has been taught to thousands of students in the United States, Europe and Asia. 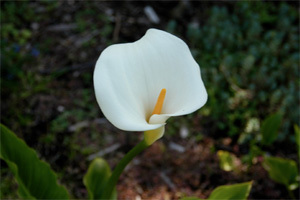 Her primary teaching venue was Esalen Institute in Big Sur, California. Anyone who has had the privilege of a workshop or private sessions with Anna knows the effectiveness of the Awakened Mind approach. She was one of the only teachers respected enough by Esalen to be invited back again and again, completing 60+ workshops over 20 years. Anna shared her discoveries and theories in her two books – The High Performance Mind and Awakening the Mind. She also created highly original audio techniques for utilizing binaural beats combined with custom musical scores and guided imagery that could effectively facilitate learner state transformations through repeated use. She created two sets of audio recordings. Sound Body, Sound Mind with Andrew Weil, and The High Performance Mind. The High Performance Mind is the only comprehensive set of audio recordings that captures the entire Wise Protocol. Despite a fifteen-year struggle with Multiple-Sclerosis, Anna was teaching right up until the end. When most of us would have given up years ago, this fearless woman overcame her daily pain and shared her wisdom right up until the last week of her life. Indeed, she was just finishing her 66th Esalen workshop when she was rushed to the hospital, where she passed on from this world. Thank you Anna. We will never forget you. May you know peace and grace for eternity.